While U.S. Samsung Galaxy S4 owners received a Qualcomm Snapdragon SoC in their handsets, some global variants, including Indian devices, were released with Samsung’s octa-core Exynos 5 Octa SoC. 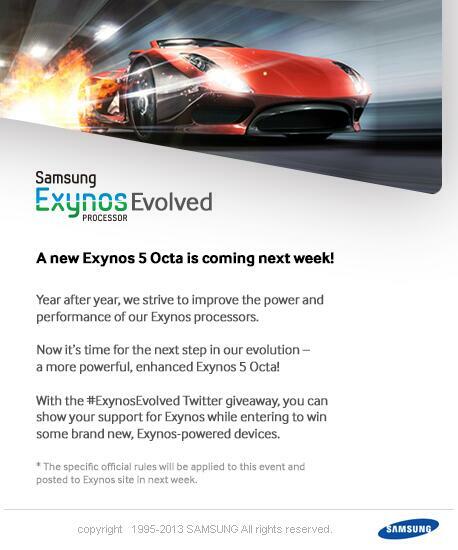 Samsung took to Twitter today to announce an upgrade to their Exynos processors, claiming, “a new Exynos 5 Octa is coming next week!” While we are not sure what improvements have been made to the octa-core processor, Samsung claims that it will be “more powerful” and “enhanced” than the older version. Speculation calls for the new chip to be the Samsung Exynos 5420 and will feature a higher clock speed along with improved optimization for the 8 integrated cores. Not technically a true octa-core chip, the Exynos 5 Octa is comprised of two sets of quad-cores with one set of Cortex-A15 chips doing the heavy lifting while the other set of quad-core Cortex-A7 chips takes care of the light housekeeping. Not all 8 cores can be used at once. When one set of quad-core chips are being used, the other cannot. Looking at history, Samsung has always created an Exynos processor and improved it in some way soon after. Whether it be double the cores (in the case of the Exynos 4) or LTE capabilities, Samsung always steps up its game with the second version of its processors. As PhoneArena reports, a road map from low cost chip producer MediaTek showed off a true octa-core chip coming, manufactured using TSMC’s 28nm process. Mass production of this chip, the MT6592, is expected to start in November with the first handsets powered by the silicon to launch early next year. All 8 cores will be available for use at once. 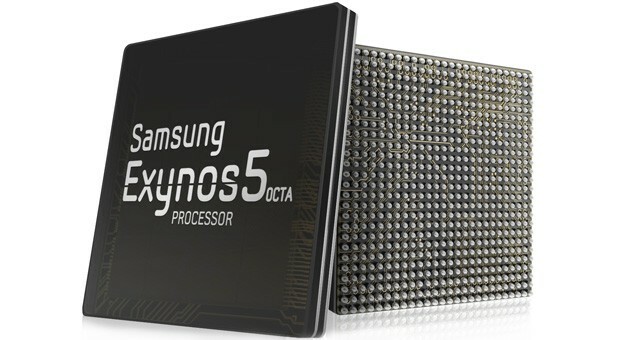 We expect the next generation Samsung Galaxy Note smartphone to be powered by the new Exynos 5 Octa chip.